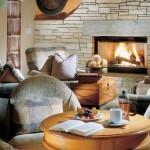 Snake River Lodge & Spa is not available for online booking. Please submit an inquiry or call our agents to get pricing and availability information. 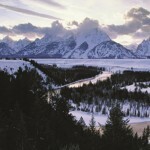 Escape to Jackson Hole in breathtaking fashion at the Snake River Lodge & Spa. 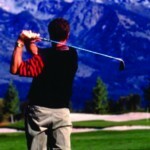 This AAA Four-Diamond Jackson Wyoming luxury hotel offers a glorious introduction to an exhilarating range of pursuits. Select from 125 beautifully appointed guestrooms and 30 one, two, and three bedroom suites with full kitchens. Feast on tantalizing western cuisine at our award-winning Gamefish Restaurant and Fireside Bar. Revitalize at the 17,000-square-foot Spa. Relax in our indoor/outdoor pools with cascading waterfalls and indoor/outdoor hot tubs. During the summer season, the best hiking, horseback riding, biking, fishing, and golf in the West beckon close by, and the Snake River Lodge is the closest hotel to Grand Teton National Park. In the winter, there’s the snow with our ski in/out location and thousands of acres of pristine, powdery terrain. 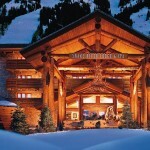 Come discover the pinnacle of luxury for Jackson Hole resort lodging and thrill to the vacation of a lifetime. Complementary internet • Glat panel HD TV’s • Refrigerators • Electronic safes • In room coffee/tea • Luxurious bathrooms with granite countertops • Plush robes • Fine amenities • Some rooms feature fireplaces and balconies. Fully outfitted kitchen with granite countertops •Breakfast Bar • Stainless steel appliances • Washer/dryers • Spacious living room with fireplace • Luxurious marble bathrooms • The master bathroom includes a separate soaking tub plus glass walled shower. Efficiency King- This room type includes either a beautifully renovated approximately 325 square foot guest room with ADA bathroom or our smallest guest room, approximately 280 square feet, with an obstructed view. Additional features include complimentary high speed wireless internet, 42 inch flat screen TV, two-line telephone, refrigerator, electronic safe and daily Starbucks coffee and tea service. 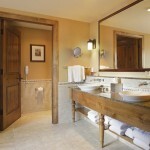 Luxurious bathroom with granite countertop, plush robe, slippers, and fine amenities. 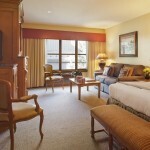 Deluxe Two Queens- A beautifully renovated approximately 325 square foot guest roomfeaturing two queen size beds. Additional features include complimentary high speed wireless internet, 42" flat screen TV, two-line telephone, refrigerator, electronic safe and daily Starbucks coffee and tea service. Luxurious bathroom with granite countertop, plush robe, slippers, and fine amenities. Deluxe King- A beautifully renovated approximately 350 square foot guest room with a king size bed, small sitting area with table and two lounge chairs, large closet. Additional features include complimentary high speed wireless internet, 42 inch flat screen TV, two-line telephone, refrigerator, electronic safe and daily Starbucks coffee and tea service. Luxurious bathroom with granite countertop, plush robe, slippers, and fine amenities. Premium King with Sleeper Sofa and Fireplace- A beautifully renovated approximately 400 square foot guest room with a king size bed, sleeper sofa, fireplace with custom carved wood cabinetry, and luxurious marble bathroom with granite countertop, plush robe, slippers, and fine amenities. Additional features include complimentary high speed wireless internet, flat screen TV, two-line telephone, refrigerator, electronic safe and daily Starbucks coffee and tea service. 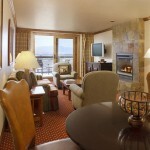 One Bedroom Suite with Fireplace and Private Balcony- A beautifully renovated approximately 1,000 square foot suite located on the top floor of the hotel with large balconies facing Snake River Valley and Sleeping Indian Mountain. Living room with fireplace, sleeper sofa, separate dining area, powder room, and large balcony with table and chairs. 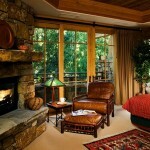 Master bedroom with king size bed, fireplace, sitting area, and large balcony with lounge chairs. 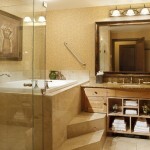 Oversized master bath with heated floors, double vanity, separate bath, glass walled shower, plush robe and slippers. Additional features include complimentary high speed wireless internet, flat screen TV, two-line telephone, refrigerator, electronic safe and daily Starbucks coffee and tea service. A beautifully renovated approximately 1,400 square foot residencefeaturing spacious living room with sleeper sofa, fireplace with custom carved wood cabinetry, and dining area with seating for six adjoining the living room. Large kitchen with premium appliances, granite breakfast bar area and washer/dryer. Master bedroom offers a king size bed, large walk-in closet and luxurious marble bathroom with granite countertop and separate tub, glass shower, plush robe and slippers. Second bedroom features either a king size bed or two twin beds, and second marble bathroom which is also accessible from the living area. Additional features include complimentary high speed wireless internet, flat screen TV, two-line telephone, refrigerator, electronic safe and daily Starbucks coffee and tea service. Three Bedroom Residence- A beautifully renovated approximately 1,800 square foot residence featuring spacious living room with sleeper sofa, fireplace with custom carved wood cabinetry, and dining area with seating for eight. Large kitchen with premium appliances, granite breakfast bar area and washer/dryer. Master bedroom offers a king size bed, large walk-in closet and luxurious marble bathroom with granite countertop and separate tub, glass shower, plush robe and slippers. Second bedroom features either a king size bed or two twin beds, and second marble bathroom which is also accessible from the living area. Third bedroom offers king size bed and marble bathroom with granite countertop. Additional features include complimentary high speed wireless internet, flat screen TV, two-line telephone, refrigerator, electronic safe and daily Starbucks coffee and tea service. Two Bedroom Penthouse Residence with Loft- A beautifully renovated approximately 2,400 square foot penthouse residence featuring a large open floor plan with vaulted ceilings, living room with stone fireplace, gourmet kitchen with breakfast counter, and large dining area with seating for six. Two and one half luxurious marble bathrooms plus washer/dryer. Master bedroom features a king size bed, stone fireplace with sitting area, and oversized bathroom with jetted jacuzzi tub, plush robe and slippers, glass walled steam shower and heated floors. Second bedroom offers a king size bed. Elegant spiral staircase leads to a large loft with two twin beds and two trundle beds. Additional features include complimentary high speed wireless internet, flat screen TV, two-line telephone, refrigerator, electronic safe and daily Starbucks coffee and tea service. Three Bedroom Penthouse Residence- A beautifully renovated approximately 2,800 square foot penthouse residence featuring a large open floor plan with vaulted ceilings, living room with stone fireplace, gourmet kitchen with wrap around breakfast counter/bar, wine cooler, and large dining area with seating for ten. Three and one half luxurious marble bathrooms plus washer/dryer. Master bedroom features a king size bed, stone fireplace with sitting area, and oversized bathroom with jetted jacuzzi tub, plush robe and slippers, glass walled steam shower and heated floors. Second bedroom offers a king size bed. Third bedroom offers a queen size bed. Additional features include complimentary high speed wireless internet, flat screen TV, two-line telephone, refrigerator, electronic safe and daily Starbucks coffee and tea service. Three Bedroom Penthouse Residence with Loft- Breathtaking approximately 3,800 square foot penthouse residence featuring three bedrooms, four and one half bathrooms and loft. Fully furnished gourmet kitchen, dining area, living area with stone fireplace, flat screen TV, DVD/CD player, utility closet with washer/dryer, high speed wireless Internet, and stunning views. Master bedroom offers a king size bed, fireplace, sitting area, flat screen TV with DVD player, private bathroom with glass walled steam shower, jetted bathtub, plush robe and slippers, granite countertop, double vanity, and walk-in closet with in-room safe. Second bedroom offers a king size bed, sitting area, built-in desk, flat screen TV with DVD player, walk-in closet, private bathroom with granite countertops and traditional shower/tub combination. Third bedroom offers two twin beds, sitting area with queen sleeper sofa, flat screen TV with DVD player, walk-in closet, private bathroom with glass walled shower and granite countertops. Loft area features a queen sleeper sofa, private bathroom with traditional shower/tub combination, sitting area with desk, foosball table, flat screen TV and mini refrigerator. Additional features include complimentary high speed wireless internet, two-line telephone and daily Starbucks coffee and tea service. Crystal Springs Two Bedroom Condominium- Beautiful 1,700 square foot condominium with 190 square foot covered terrace. Master bedroom features a king size bed, fireplace and private bathroom with jetted tub, glass shower, plush robe and slippers. The second bedroom offers two sets of twin bunk beds and a private bath. Fully furnished kitchen, dining area, spacious living area with fireplace, flat screen TV, half bathroom, and washer/dryer. 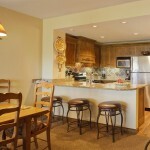 All the comforts of mountainside condominium living and the amenities of the Snake River Lodge. Crystal Springs Two Bedroom Penthouse Condominium with Loft- Beautiful 1,900 square foot condominium with 190 square foot covered terrace. Master bedroom features a king size bed, fireplace and private bathroom with jetted tub, glass shower, plush robe and slippers. The second bedroom offers a queen size bed and private bath. Fully furnished kitchen, dining area, spacious living area with fireplace, flat screen TV, half bathroom, and washer/dryer. The loft area offers a double size trundle bed. 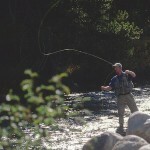 All the comforts of mountainside condominium living and the amenities of the Snake River Lodge. Crystal Springs Three Bedroom Condominium- Beautiful condominium ranging in size from 2,000 to 2,300 square feet with 190 square foot covered terrace. Master bedroom features a king size bed and private bathroom with jetted tub, glass shower, plush robe and slippers. The second and third bedrooms offer either a queen size bed or two twin beds with private bath. Fully furnished kitchen, dining area, spacious living area with fireplace, flat screen TV, half bathroom, and washer/dryer. 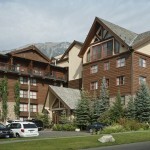 All the comforts of mountainside condominium living and the amenities of the Snake River Lodge. Crystal Springs Three Bedroom Penthouse with Loft- Beautiful condominium ranging in size from 2,300 to 2,500 square feet with 190 square foot covered terrace. Master bedroom features a king size bed and private bathroom with jetted tub, glass shower, plush robe and slippers. The second and third bedrooms offer either a queen size bed or two twin beds with private bath. Fully furnished kitchen, dining area, spacious living area with fireplace, flat screen TV, half bathroom, and washer/dryer. The loft area offers a queen sleeper sofa and additional half bath. 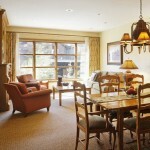 All the comforts of mountainside condominium living and the amenities of the Snake River Lodge. 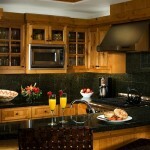 The Snake River Lodge & spa offers a range of dining options from hearty locally sourced fare to healthy spa cuisine. 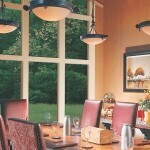 Choose from the Gamefish Restaurant and the Fireside Bar. The Gamefish Restaurant is our signature dining experience. 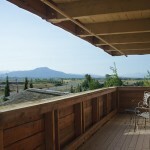 Dine with walls of windows overlooking the Snake River Valley and Sleeping Giant Mountain beyond. For breakfast, watch the sun rise in the East and enjoy an extensive buffet breakfast with an offering of a la carte items. For dinner, experience the reflection of the sun cascading on the Valley while enjoying a creative menu of American cuisine with a western flair. Our fireside Bar provides a perfect surrounding after a day of hiking or skiing with its casual yet sophisticated western décor. Enjoy everything from buffalo burgers and Elk chili to freshly prepared soups, salads and full entrees. 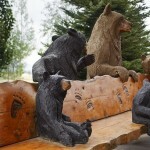 There are also numerous restaurants in Teton Village all within a 5 minute walk of the hotel. 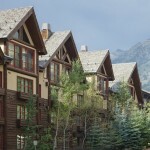 Teton Village is home to diverse Jackson Hole dining options, from local game to inspired Thai, Asian and Italian. The Bridger Gondola Restaurant with its happy hour and fine dining restaurant at the top of the mountain serve for a memorable experience. There are also several casual and family friendly options around the village. The Spa at Jackson Hole’s Snake River Lodge offers a complete restoration of the body and mind. Featuring a state-of-the-art fitness center and nourishing body treatments this luxury spa refreshes both body and soul. Our grand five-story, 17,000 square foot Spa at the Snake River Lodge is a perfect complement to your Teton Village vacation. 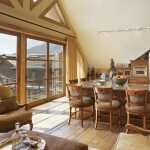 Our spa is the only one in Teton Village with views of Jackson Hole mountain from many rooms. After a day on the mountain, retreat to the Spa for refreshing relaxation. Discover the luxury oasis amidst the breathtaking views of nature. Let our staff pamper you with one of our popular spa treatments. Our spectacular facilities come complete with tranquil cascading waterfalls, a pool, bubbling hot tubs, and cleansing saunas. For a quiet retreat, relax on a plush sofa in our private men's or women's lounge, or take advantage of the steam, sauna, jetted pools, and specialty showers. Our state-of-the-art exercise room features an impressive selection of Cybex strength training and cardio equipment to bolster your workout routine. 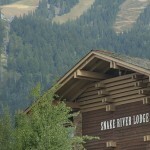 The Snake River Lodge & Spa offers more amenities than any other hotel in Jackson Hole. 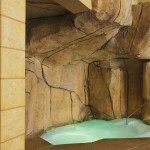 • 17,000 square foot 5 Story spa. 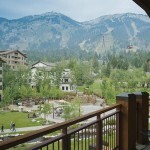 We are the only spa in Teton Village with natural light and many rooms have views of Jackson Mountain. • Luxurious men’s and women’s lounging areas and locker rooms, each with their own hot tubs, steam showers, steam rooms and saunas. 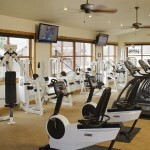 • 1,500 square foot fitness room with state-of-the-art equipment cardiovascular and strength trailing equipment. 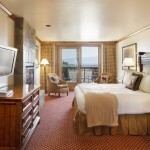 • Swim thru indoor / outdoor pools, the only pool of its kind in Jackson Hole. 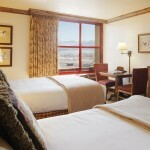 • Complimentary high-speed Wi-Fi Internet access located throughout the hotel. • Full Concierge and valet parking services. 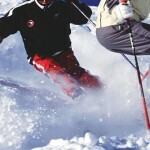 • Ski Valet Service with boot warmers and ski tuning and waxing. vertical foot trip to the top of Jackson Mountain. • Guest laundry for our traditional hotel rooms without washer/dryers. • Convenience market for beverages, snacks, sandwiches and desserts available 24 hours per day. 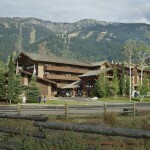 • 6,000 square feet of flexible meeting space, all of which have windows looking onto Jackson Mountain and Teton Village. 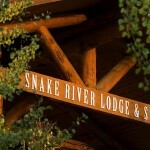 Whether you are planning a social event or corporate meeting, the Snake River Lodge & Spa is the ideal choice. Adjacent to the Grand Teton National Park, our Jackson Hole, Wyoming resort showcases 6,000 square feet of flexible function space with breathtaking mountain views and exquisite cuisine. Whatever the size of your meeting or event, our onsite professional conference and event planners will make it an unforgettable event. 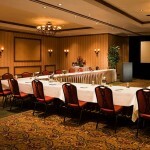 • 6,000 square feet of elegant conference and banquet space. 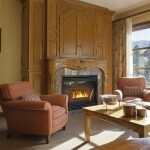 • All meeting rooms feature walls of windows with views of Jackson Mountain and Teton Village. • Outdoor tenting of our grounds is available. • Professional conference and event planners on staff. 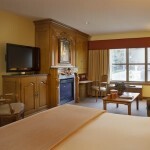 • High-speed Internet access throughout the hotel. • Large Suites available for hospitality functions. 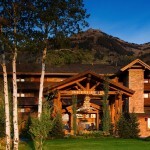 Located slope side at Jackson Hole Mountain Resort, the luxurious Snake River Lodge & Spa offers world-class accommodations and superb service for unforgettable wedding celebrations and corporate gatherings. Thank you very much, all of your staff did an excellent job. A deposit of 40 percent of the reservation is charged to the credit card provided at the time of booking. Full and final payment is due 21 days prior to arrival and is automatically charged to the card on file at that time. Reservations that are booked inside 21 days from arrival date are charged full and final payment at time of booking. Free cancellation outside 21 days of arrival. Cancellations made 21 days or less of arrival are subject to forfeiture of full payment. No shows, late arrivals and early departures are charged the entire amount for the reserved stay. For holiday reservations staying December 18-31 - full and final payment is due on November 1st and is automatically charged to the card on file at that time. Reservations that are booked inside of November 1st are charged full and final payment at time of booking. For holiday reservations scheduled to arrive December 18-31, free cancellation prior to November 1. Non refundable as of November 1 . No shows, late arrivals and early departures are charged the entire amount for the reserved stay. A credit card is required at check in for incidentals. It is recommended that credit cards, not debit cards are used for these authorizations. Authorizations will be released within 48 hours of departure. If debit cards are used, we cannot guarantee a timely release of the authorization as this is controlled by the issuing bank. A daily $30 resort fee per room is charged and includes complimentary bottled water on arrival day, complimentary self-parking, broadband Internet, business center access, all day lobby beverages and treats, use of the ski valet concierge service, spa access with attendant, private lockers and amenities including hot tub, steam room, sauna, 24 hour fitness center access with state-of-the-art aerobic and cardio equipment, cybex and free weights, stretching and strengthening bands/balls/bosuls, private yoga and stretching studio. This resort fee is taxed at 10%. Valet: 24 hour valet parking is available at $18.00 per vehicle, per day. For late departure availability, check with the front desk on the morning of your departue. Additional chargees may apply. Children 14 and under stay free with adults. We are happy to provide a complimentary crib. Additional person charges are as follows: Adults ages 15 and over: $30 per night. Our hotel is smoke free. Smoking is permitted outdoors in designated areas. Sorry but we do not allow pets.